East Portland Member of Parliament, Dr Lynvale Bloomfield, was found murdered at his home in Passley Gardens in the parish on Saturday morning. Bloomfield, a second-term MP, was, at the time of his death, a member of the opposition People's National Party (PNP). He was 59. The medical doctor is the third PNP member in five years to die while serving as Member of Parliament. In August, 2014, Roger Clarke, then minister of agriculture, died after a medical procedure in the United States. And South East St Mary MP Dr Winston Green, who served in the same region as Bloomfield, collapsed and died at his home in August 14, 2017. 1. He was born in the parish of Trelawny and attended Cornwall College in St James. 2. He studied medicine at The University of the West Indies, Mona and is a practising medical doctor. 3. He was a Baptist. 2011 – First elected to parliament after beating the Jamaica Labour Party’s Patrick Lee by 1,246 votes. 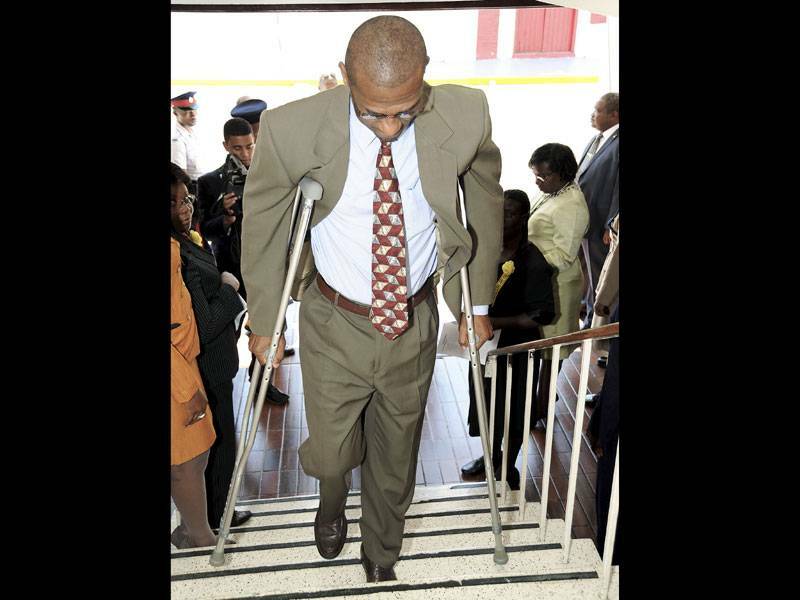 2012 – Broke his hip while walking in his constituency and turned up for parliamentary sittings on crutches. 2015 - Tabled motion in parliament calling on the House to consider the relevance, roles and responsibilities of backbenchers, in an effort to enhance the role of participatory democracy in Jamaica's parliamentary system. 2015 - Lost PNP internal challenge to Andrea Moore but was allowed to represent the party in the February 2016 general elections. 2016 – Beat Derron Wood of the JLP in the general election by 2,276 votes. 2018 – Has been under pressure to retain seat for the PNP following the arrival of Ann-Marie Vaz as the JLP’s caretaker/candidate for East Portland. 2019 – Led demonstration in Port Antonio, calling for the government to follow through with the planned Southern Coastal Improvement Highway, which is to run from Harbour View, through St Thomas, to Portland. 2019 – Found murdered in his Portland home.